This blog has been in the planning stages for over a month. I have been setting up my blog, perusing other blogs for ideas, and planning my posts. I didn’t quite know what to post first until I read The Best Speech-Language Pathologist Blogs from ‘A to Z’ at ASHAsphere. Heidi Kay wrote that “Pinterest is inspiring SLPs to jump into the blogging world.” In my case, she was correct. Finding so many wonderful ideas on blogs through Pinterest has motivated me to share the countless activities and materials that I have used and / or created throughout my career and the new ideas that I find daily. I hope that you enjoy my blog and continue to come back often. The Sight Word Parking Lot, shared on Pinterest, was first posted at Juggling With Kids. This would make an awesome therapy activity. 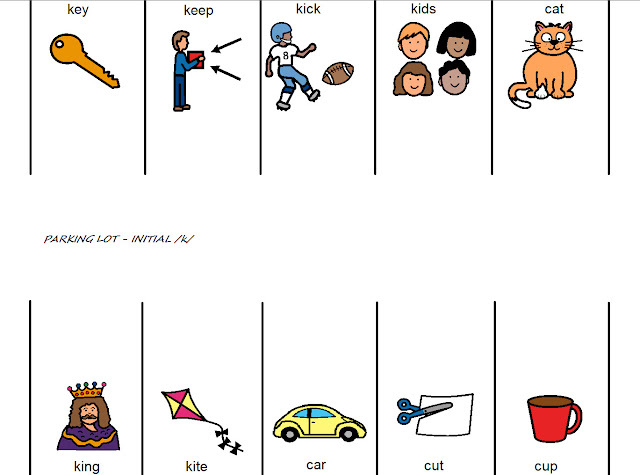 Akane Everitt created the activity to make learning sight words fun for her son. This activity could be used for articulation therapy, phonemic awareness, identifying parts of speech, matching synonyms, and to introduce new vocabulary. 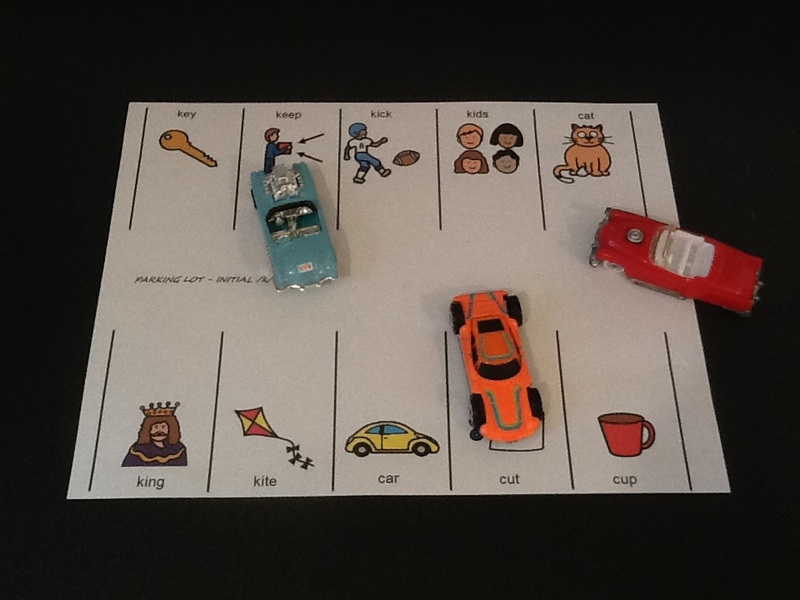 Students can move cars on the words as they say them; filling up the parking lot with many cars or moving one car from place to place. Pictures can be used in place of words when needed. Print two of the same board and cut one of them into cards so that students can draw a card and move a car to the appropriate parking spot. I recreated this game using both Boardmaker V6 Plus and Microsoft Office PowerPoint. The Parking Lot Games and template made with PowerPoint can be obtained by clicking here. Save them as a PowerPoint to easily create more games. The Parking Lot Game and template made with Boardmaker V6 Plus can be found by clicking here. This link will take you to BoardmakerOnline. You will need Boardmaker installed on your computer to open the activity.